Usually the requests I receive from viewers concern the actors in the shows that air on MPT. Recently, however, a viewer suggested we take a look at the actors we watch who are related. What a great idea! One relationship Afternoon Tea viewers are probably already aware of is that of Bill Owen, who played Compo in Last of the Summer Wine, and his son Tom, who played Tom Simmonite in the series. Although Tom joined the series following his father’s death in 1999, he had also appeared in an episode several years earlier as a bank customer at a cash dispenser. Long-time Masterpiece viewers might also have seen Tom in an episode of Upstairs, Downstairs and The Onedin Line. Past Tidbits have made mention of the fact that Laurence Fox, who stars as Inspector Lewis’s sergeant, James Hathaway, is part of the British Fox family acting dynasty. His father is James Fox, who as well as appearing alongside his son in an episode of Inspector Lewis, was most recently seen in Death in Paradise, and Downton Abbey. Uncle Edward Fox, who is married to Joanna David, has also appeared in Downton and Inspector Lewis, as well as numerous other detective series. His main claim to PBS fame though is probably as King Edward VIII in the Masterpiece Theatre presentation, Edward & Mrs. Simpson. Joanna is, of course, a regular face in many a detective series, but is best remembered for her role as Mrs. De Winter in Masterpiece’s Rebecca. Oddly enough, Inspector Lewis is the one detective series she seems not to have starred in. Although the couple’s youngest child, Freddie, has. They also have a daughter, actress Emelia Fox who, following in her mother’s footsteps, was the second Mrs. De Winter in a revival of Rebecca. She was also in an episode of the revived Upstairs Downstairs series. Since 2004, she has starred as Dr. Nikki Alexander in Silent Witness. Until fairly recently, Laurence Fox was married to Billie Piper who played the 10th Doctor Who’s assistant and love of his life, Rose. In real-life, David Tennant, who played the Doctor, is married to another attractive blonde he worked with on the series, Georgia Moffett. She was his daughter in the "Doctor’s Daughter" episode. As well as her husband, you probably also know her father, Peter Davidson from his role as Tristan in All Creatures Great and Small and a whole host of British series. Fans of My Family will I am sure remember Georgia as the family liaison officer in the "Let’s Not Be Heisty". 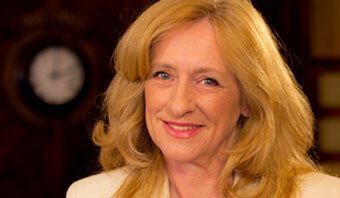 She also appeared as Frances Derwent in the "Why Didn’t They Ask Evans?" episode of Agatha Christie’s Marple (with Julia McKenzie as Marple). Prunella Scales (Fawlty Towers) and her husband actor Timothy West (Sir Leicester Dedlock in Masterpiece’s Bleak House) are the parents of Samuel West, who plays Frank Edwards in Mr. Selfridge. He was also part of the young honeymoon couple on the As Time Goes By episode where Jean and Lionel went to Paris. 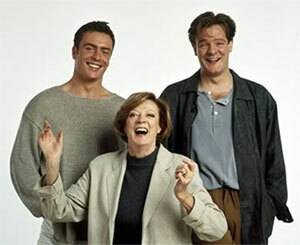 Dame Maggie Smith has two sons that you may have seen on MPT over the years – the youngest, Toby Stephens, was Rochester in Masterpiece’s Jane Eyre. 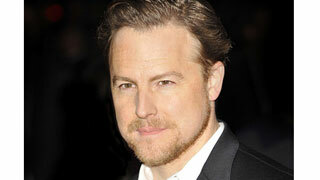 He also appeared in Inspector Lewis, Agatha Christie’s Marple, Agatha Christie’s Poirot, and Waking the Dead. His older brother, Chris Larkin, was also in Agatha Christie’s Marple, as well as Rosemary and Thyme, The Six Wives of Henry VIII, Endeavour and The Coroner. Timothy Carlton and his wife Wanda Ventham have been television actors since the late 1950s and are still relatively unknown. Meanwhile their only child, son Benedict Cumberbatch, became an international star just a few years after making his first television appearance, thanks to Sherlock. 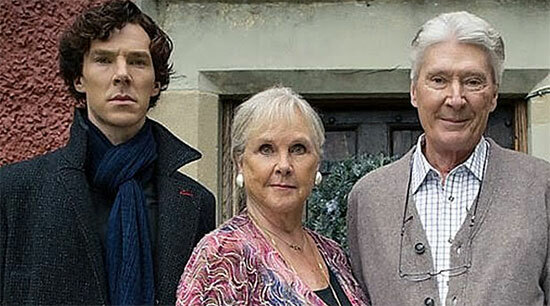 Both of Cumberbatch’s parents have appeared with him in the series, playing - his parents! Some of the other series Wanda has appeared in have been Inspector Lewis, Midsomer Murders, and Hetty Wainthropp Investigates. Timothy was also in Inspector Lewis, and Midsomer Murders, along with numerous other British detective series, including the "Napoleon’s Violin" episode of The Coroner. He also appeared as the Salesman in the "Rolls Royce" episode in Keeping Up Appearances, and as the Judge in the "Christmas at Downton Abbey" episode set in 1919. I hope to have some more "family connections" another time, in the meantime, if you know of any let me know.